Add a touch of vintage charm to any room in the house. 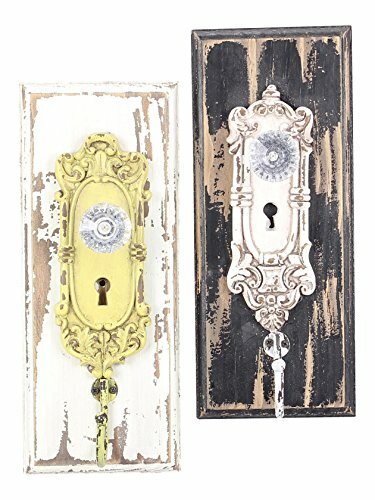 Perfect for hanging keys, hats, purses, towels and more. 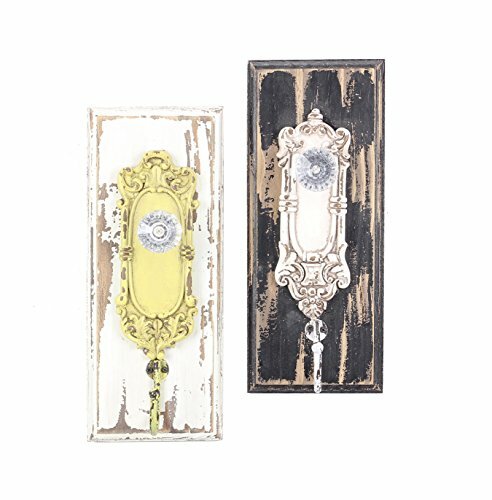 Beveled wood plaque features a distressed, painted finish with an acrylic diamond cut knob accent. Hanger on back allows for quick and easy mounting. Set includes 2 hooks, one of each design. Each measures 9.5"L x 4"W; hook is 2.5"D. Product may vary slightly from picture.